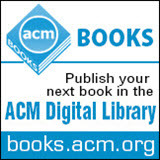 Welcome to the August 18, 2017 edition of ACM TechNews, providing timely information for IT professionals three times a week. Women Coders Respond to ex-Googler Damore: Nope. Quantum Internet Is 13 Years Away. Wait, What's Quantum Internet? A Big Data Center (BDC) has been jointly launched by the U.S. Department of Energy's (DoE) National Energy Research Scientific Computing Center (NERSC), Intel, and five Intel Parallel Computing Centers to focus on scalable code modernization and real-world scientific challenges. "The BDC...will test to see if the current [high-performance computing (HPC)] systems can support data-intensive workloads that require analysis of over 100-terabytes datasets on 100,000 cores or greater," says NERSC's Prabhat. "The BDC will optimize and scale the production data analytics and management stack on [the] Cori [supercomputer]." Prabhat notes the center's initial goals involve identifying capability applications in the DoE data science community, defining analytics requirements, and developing scalable algorithms. Prabhat also notes the BDC will open source its optimizations for the HPC and data analytics communities. 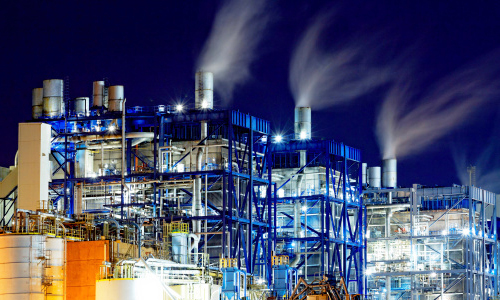 "This creates a beneficial cycle of new research, hardening the machine, and developing new software stacks leading to research that is more productive," says Intel's Joseph Curley. Researchers at Microsoft are programming algorithm-equipped gliders to make on-the-fly decisions to help develop low-power autonomous aircraft for various applications. Project leader Ashish Kapoor and colleagues incorporated Markov decision processes within their algorithms to limit uncertainty. "The [artificial intelligence] systems of tomorrow will face all the same challenges," says Microsoft researcher Andrey Kolobov. 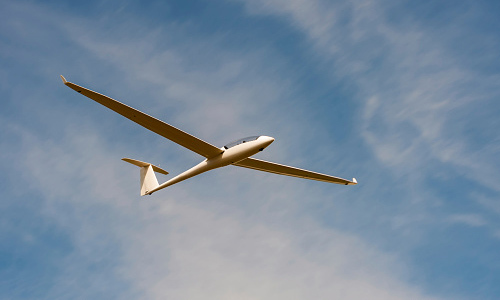 Once airborne, the gliders use the algorithms to analyze environmental forces such as wind and other air patterns, and to make educated guesses on future occurrences and plan in advance. The aircraft mapped out their own paths to locations that could supply lift, and then strove to ride the columns of rising air. Stanford University professor Mykel Kochenderfer says the research is a step toward self-driving vehicles that can accommodate unpredictable human behavior. "The core problem for robotics is uncertainty," says University of California, Berkeley professor Ken Goldberg. "This is what differentiates robotics from a game like Go or chess." Female programmers are refuting former Google engineer James Damore's criticism of women as unsuited for computing, and that Google's diversity efforts are sexist and unfair. Women coders say Damore's analysis selectively chooses data to support his contention that biological factors make men more qualified than women for technical and leadership positions. Black Girls Code CEO Kimberly Bryant says the tech industry's gender dynamics have inculcated a longstanding culture that is unfriendly toward women and minorities. Girls Who Code's Kelly Parisi also questions Damore's conclusions, and denies the "victim mentality" he claims are encouraged by diversity programs. "We're made up of badass coders who know what they have to offer the tech field and have the robots, apps, websites to back it up," Parisi says. Other critics of Damore's argument say diversity initiatives' special treatment because of race or gender is necessary to overcome biases that have kept women out of technology. Researchers at Northeastern University have conducted a study describing a new approach for more precisely modeling the future effects of climate change on vulnerable locations. The team developed DeepSD, a framework for statistical downscaling on historic climate datasets via deep-learning technologies so high-resolution projections can be generated. The researchers compiled and analyzed climate datasets from the U.S. National Aeronautics and Space Administration (NASA), measuring such factors as temperature, rainfall, and geographic elevation. They also used NASA's satellite data, which was collected and processed by the agency's Pleiades supercomputer. "These downscaled datasets will be of immense value to climate researchers and eco-climatic modelers who want to study anything from the impact of ecosystems to changes in climate for future warming scenarios," predicts study co-author Sangram Ganguly at the NASA Ames Research Center. The study was presented this week at the ACM Conference for Knowledge Discovery and Data Mining (KDD 2017) in Nova Scotia, Canada. Researchers at the University of Washington (UW) have demonstrated the use of smart devices as surveillance tools to track a user's position, body movements, and activity. The researchers remotely commandeered smart devices to play music embedded with repeating pulses, using their CovertBand software. CovertBand exploits the principles of active sonar, sending out pulses in the 18 to 20 kHz range through the speaker of the hijacked device to bounce off objects, and picking up the reflected sound waves via the device's microphones. The device then emits the information to the hacker. "The physical information CovertBand can gather--even through walls--is sufficiently detailed for an attacker to know what the user is doing, as well as other people nearby," says UW professor Shyam Gollakota. CovertBand also can recognize and infer repetitive motions automatically. "If you have enough data from CovertBand, you could run it through machine-learning algorithms to help classify more movements for faster identification," Gollakota notes. There were more young women taking an Advanced Placement (AP) computer science (CS) exam in 2016 than in 2007 through 2013 combined, mainly because of the College Board's new AP CS Principles course. The course emphasizes curiosity, instead of previous coding knowledge, as a tool for exercising creativity and collaboration. The change helped counter some of the more intimidating aspects of CS for girls. EdSurge reports in the course's first year, 29,708 girls and 22,199 underrepresented minorities took the exam--a 100-percent increase for both demographics. "The introduction of AP CS Principles this past school year was the largest College Board AP exam launch in history, and has skyrocketed participation in CS, especially among female students and minorities," says Code.org. Also of note, the University of California, Berkeley experienced a surge of female enrollees in an introductory CS course after it was rebranded as "The Beauty and Joy of Computing" as an antidote to stereotypes. Researchers at the University of California, Berkeley and Google are working on the "Eclipse Megamovie" project, in which volunteers take photos of the upcoming solar eclipse's path across the U.S. and then upload the images to the Megamovie website. A Google algorithm then will combine the thousands of photos into a three-minute megamovie to be published later that evening. The algorithm is based on the Solar Eclipse Image Standardization and Sequencing (SEISS) algorithm, which was created in 2012 to integrate images taken of the 2012 total solar eclipse in Queensland, Australia. SEISS included code for detecting when the eclipse was in its partial phases, but the new Google algorithm will use each photo's time stamp and global-positioning system location to determine if it was taken during the totality and disregard other images. The Megamovie project will provide scientists with observational data about the sun's atmosphere that is extremely rare and valuable. Researchers at Microsoft, Peking University, and the University of Electronic Science and Technology of China have developed the Accurate Condition System (ACS), which automatically repairs defects in software systems. 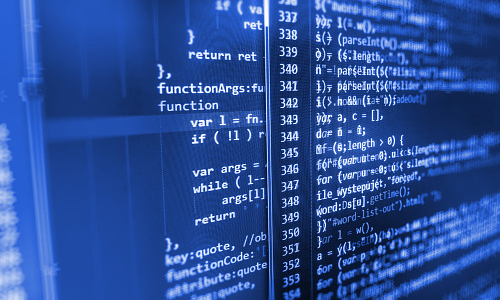 The work is based on the DeepCoder algorithm, which produces programs from problem inputs/outputs. The researchers say ACS achieves improved results compared to other methods by using multiple information sources, especially the "big code" existing on the Internet. The researchers focused on condition synthesis, and three new types of information sources were added to those in previous tools. The first source yields information by knowing what variables in a local context should be used in an "if" condition, and a sorting method based on dependency relations between variables. The second source centers on the observation that the application programming interface document can guide the repair process. Finally, ACS performs statistical analysis on the open source program online, finding the conditional probabilities of the operations over the variables and further generating correct patches. Redesigning and overhauling Silicon Valley's technology ecosystem so all people have equal opportunities to become entrepreneurs is the mission of the Kapor Center for Social Impact, along with its Kapor Capital investing branch and Level Playing Field Institute. The incubator, started by Electronic Frontier Foundation co-founder Mitch Kapor and his wife, Freada Kapor Klein, seeks to address the tech sector's overwhelming male culture and chronic underrepresentation of women and minorities. Kapor Capital since 2013 has invested in more than 130 early-stage startups, most of which are tackling socially relevant challenges. The Kapors see this cultural revamp as necessary for sustaining innovation, and their incubator is unique in its emphasis on nurturing an interest in technology among girls and minorities while they are still young. For example, the Level Playing Field Institute hosts programs such as the Summer Math and Science Honor Academy, which invites high school students to study science, technology, engineering, and math for five weeks. Although some scientists expect a "quantum Internet" to exist in 13 years, its exact function remains vague due to the nascent stage of the technology. "To get to the point where billions of quantum devices are connected to the same network, where any connected device can talk to any other device, we'd be lucky to see it in our lifetime," says the University of Waterloo's Thomas Jennewein. The groundwork was laid when Chinese physicists launched the first-ever quantum satellite to transmit and receive photon-encoded data. However, quantum information storage and efficiently transmitting quantum signals between nodes remain elusive goals. Still, the potential exists for a quantum Internet serving as a specialized arm of the current Internet. For example, the University of Washington's Kai-Mei Fu says a quantum Internet could find use in potential quantum computing projects, especially when users want to avoid transmitting their information in a classical manner that could be prone to surveillance. Researchers at Kyoto University in Japan have developed a method to help deep-learning algorithms recognize amorphous vegetation by training them to identify different types of moss. The team first photographed three kinds of moss, both individually and in locations where other non-mossy plants and features were present. Their objective was to train the algorithm to differentiate the types of moss in a single image and to distinguish it from other objects and plants. The method has each moss image divided into smaller regions of 56 by 56 pixels, with 50-percent overlap. The original image generates about 90,000 images, and the algorithm is trained on 80 percent of them and tested on the remainder. The researchers say the algorithm correctly classified test images with more than 90-percent accuracy. 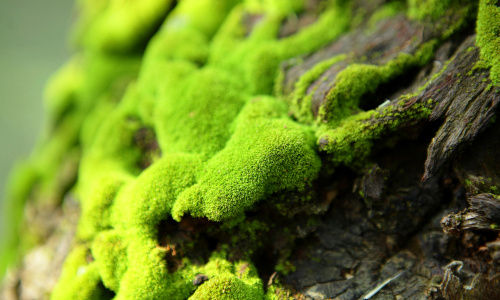 The team plans to develop an app to enable people to identify moss via a smartphone. Hewlett Packard Enterprise (HPE) and the U.S. National Aeronautics and Space Administration announced a year-long joint experiment in which a "Spaceborne Computer" will be set up at the International Space Station, with a goal of eventually sending a manned mission to Mars. The Spaceborne Computer will include a high-speed, high-performance computing (HPC) interconnect running an open source Linux operating system. HPE's Alain Andreoli says the system could remove communication latencies, which can "make any on-the-ground exploration challenging and potentially dangerous if astronauts are met with any mission-critical scenarios that they're not able to solve themselves." The Spaceborne Computer's software is designed to tolerate the rigors of space, with a water-cooled envelope for the hardware helping keep the supercomputer safe. Andreoli says the experiment will "spark discoveries for how to improve [HPC] on Earth and potentially have a ripple effect in other areas of technology innovation." The U.S. Defense Advanced Research Projects Agency (DARPA) recently announced a new Radio Frequency Machine Learning Systems (RFMLS) program designed to deliver enhanced situational awareness regarding the fluctuating composition of RF signals in the Internet of Things (IoT) and spectrum sharing. An RFMLS could identify subtle differences in the RF signals among identical, mass-produced IoT devices and spot signals intended to spoof or hack into these devices. "We want to...stand up an RF forensics capability to identify unique and peculiar signals amongst the proverbial cocktail party of signals out there," says DARPA program manager Paul Tilghman. Among future RFMLS technical components covered by the program are feature learning, attention and salience, autonomous RF sensor configuration, and waveform synthesis. Tilghman says a full RFMLS "will give emerging automated systems, and the military commanders that rely on them, much-needed information to understand the landscape of the wireless domain."